BUY VINYL: http://www.darkentriesrecords.com/store/vinyl/the-arms-of-someone-new-susan-sleepwalking-lp/ The Arms of Someone New was formed in 1983 in Champaign-Urbana, Illinois by Mel Eberle and Steve Jones. Steve managed and helped record Mel’s band The First Things; while in the studio to demo some of Mel’s songs, they started collaborating. Both grew up around their families’ pianos and got into psychedelic rock drawing inspiration from Jimi Hendrix and The Beatles, taking their name “The Arms of Someone New” from a line on a Beatle’s X-Mas Fan Club Single. They modeled their sound after the melancholic side of Factory Records, The Cure’s “Faith” period and The Teardrop Explodes. Between 1983 and 1985 they released four cassettes, one 7”, and one 12” EP. In September 1985, the duo self-released their debut full length ‘Susan Sleepwalking’ on Office Records. To They drafted locals for the album’s recordings, including Lynn Canfield, Henry Frayne, Brenden Gamble and Joe Strell (all of the group Ack-Ack!) as well as Nick Rudd. Equipped with Casio keyboards, drum machines, and jangly guitars, The Arms Of Someone New provided an American take on English folk, ambient, and industrial music. Over the album's ten tracks they paint pictures of stillness with sparse instrumentation and simple chord change. Psychedelic vocals add a dream-like veneer. The Arms of Someone New fearlessly mix genres without sacrificing the unity of their vision. 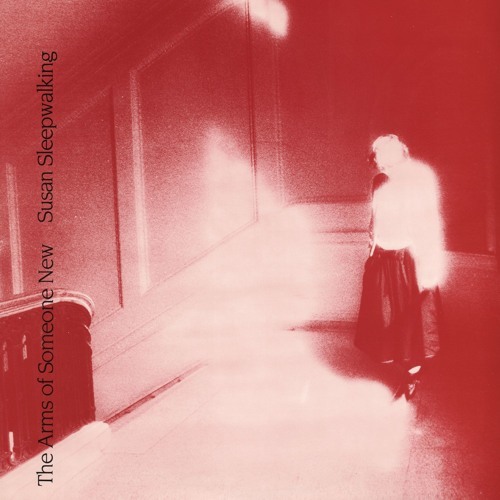 “’Susan Sleepwalking’ could as well be retitled ‘Music for Interiors’ - both architectural and of the mind” - The Michigan Daily 1985. All songs have been remastered for vinyl by George Horn at Fantasy Studios in Berkeley. Housed in the original jacket featuring a blood red-tinted photograph with ghostly textures. Each copy includes a 2-sided 11” square insert with lyrics and press clippings from the band’s archive.